Welcome - Ceud mìle fàilte! We are representing the Scottish Highlandclan Mackenzie and we are recognized by the Clan Chief, The Rt. Hon., The Earl of Cromartie. 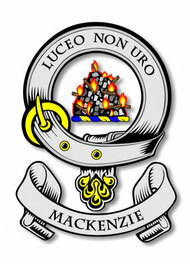 We try to give you some information about the Clan Mackenzie and its history. See who we are and what we do. We hope you enjoy our homepage and we say thank you for your interest!